For many working adults, a commute of some kind is just a normal part of their daily routine. In many ways your commute likely becomes second nature, something you don’t even think about. That said, you probably don’t realize what your commute could be costing you each month or year. Depending on the length of your drive to work, you could be paying more than you realize between gas, routine maintenance, and overall wear and tear. Moreover, with what feels like rising prices, gas alone has a tendency to rack up a rather large bill. A commute is simply part of your work routine, however, that doesn’t mean you have to spend most of your paycheck on it. No matter if your commute is 10 minutes or an hour, there are always ways to negate its drain on your time and resources. Instead of spending a significant portion of your budget on your drive to work, here are seven ways to reduce the cost of your daily commute. Public transportation, like buses and trains, has been around forever and for good reason; there’s a multitude of citizens in cities big and small who opt for public transportation over their own vehicle. In most cities, passes for your local bus or train system have a tendency to be inexpensive and easily accessible. Not only can the trip provide you with extra time in the day to work, read, listen to music, etc., but it can also save you the hassle and money of trying to park as well. You may even be able to work on a side hustle during your commute! Furthermore, even if your public transportation doesn’t pick you up and drop you off exactly at your destination, you can still save money by getting most of the way and then walking or biking the rest of the distance. Going to work doesn’t have to be a solo trip. You no doubt live close to various coworkers or work close with various friends or neighbors. Whoever you choose to ride with, sharing a car and rotating drivers every other day or week can significantly reduce the cost your commute has on your vehicle. Between the wear and tear on your car and the sheer fact of splitting case among a few, you’ll save a large portion of your car cost each month. The 9 to 5 workday is slowly becoming a thing of the past. 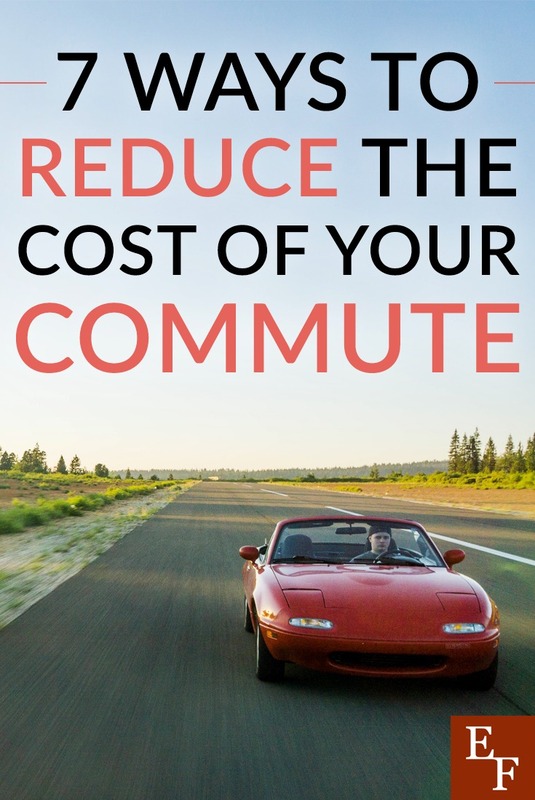 Many companies already offer flexible schedules or remote work and requesting or taking advantage of such benefits could drastically help you save on your commute costs. The higher and denser the traffic, the longer your commute will take, and the more gas and money your drive will cost you. Instead of traveling back and forth during peak times of the day see if you can start work earlier and leave earlier or come later and leave later. If so, you’ll miss the rush of the day. Another great option would be to ask for a more flexible work schedule. See if there are ways you can work remote a couple days a week to cut back on your daily drive time. One of the biggest effects of cost when it comes to your daily commute is the consistent cost and purchase of gas. In most instances, you likely pull into the nearest gas station without thinking twice about the cost. After all, gas is expensive no matter where you go, right? That said, gas prices fluctuate based on location and finding the right one could save you. Of course, driving around looking for the best price is only going to cost you more. Instead, utilize the array of apps available that’ll help you search for and find the gas station with the best prices around. Depending on the length of your commute walking or biking to work gives you the opportunity to save money and enjoy the outdoors. While this might not be practical for everyone, given your cities climate or possibly your health, choosing to walk or bike to work can cut down the cost of car ownership and help you save on gym bills as well. Furthermore, by going this route you’ll skip rush hour traffic altogether. Although a fuel-efficient car is one obvious way to save on gas, there’s an array of other habits you can practice to drive more efficiently all around. Steps like ensuring your cars tires are properly inflated, getting rid of unnecessary weight in your car, and staying alert to plan out maneuvers and stops ahead call work to increase fuel efficiency. Of course, one of the bigs components of fuel efficiency is learning to stay steady in your speed as well. So, no matter how tempting it is to speed ahead, work to stay at the speed limit to get the most out of your gas tank. Some companies are generous enough to offer this as part of your job, in other cases however, the cost of parking alone could be eating up your wallet. Instead of opting with the closest and usually most expensive parking options, try browsing around for a better option. Consider finding free or cheaper parking a little farther from the building and walking the rest of the way. In exchange, amount you save could be put towards your gas or other routine maintenance. Unless you work remotely full-time, your daily commute is probably unavoidable. That said, you don’t have to spend a fortune on gas and car maintenance each you to do so. By evaluating which options are right for you and where you live, you can find a variety of ways to cut back or even eliminate most of the costs associated with your daily drive and vehicle. After all, at the end of the month, there’s no doubt many other things you’d like to spend your hard-earned paycheck on. Is it possible for you to walk or bike to work? Who could you come up with a vehicle sharing program with?